Thank you, dear! The amazing birds brightened many areas of the park in places as unexpected as the cafe entrance and outdoor vendor rooftops. 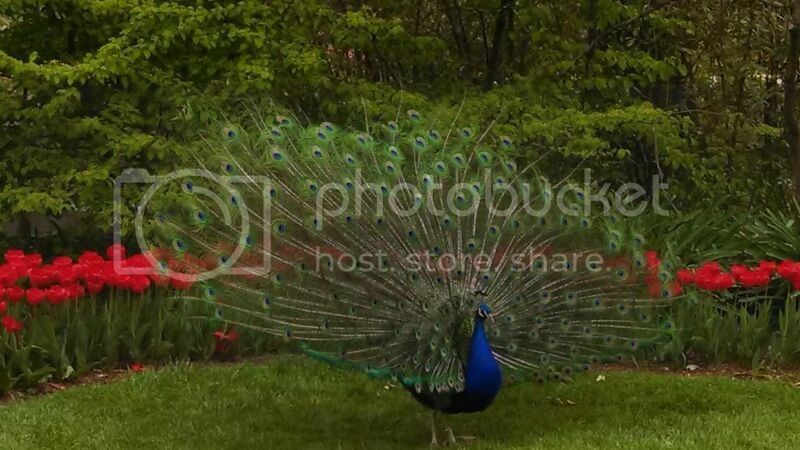 Our zoo peacocks are bold around humans, for sure.